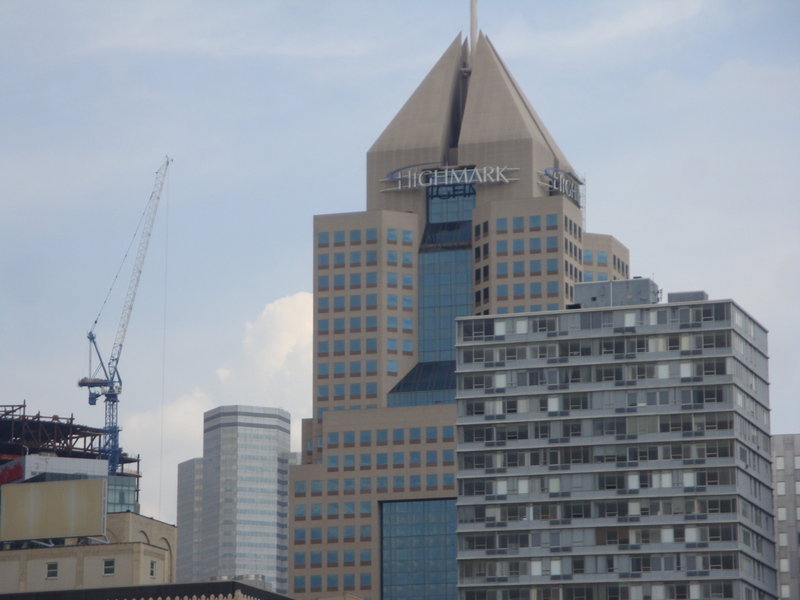 More than 180,000 seniors who rely on Highmark Inc. for Medicare Advantage will keep in-network access to UPMC at least until 2019, Commonwealth Court President Judge Dan Pellegrini ordered Friday. His three-page decision commands the Downtown-based rivals into binding arbitration to resolve other disagreements they cannot settle on their own — a move that delighted Gov. Tom Wolf and Attorney General Kathleen Kane. UPMC vowed to appeal to the state Supreme Court. 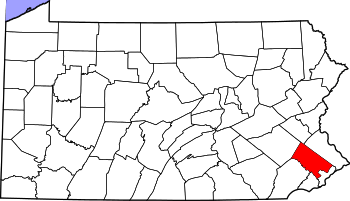 “The feud between these two companies must end — the people of Western Pennsylvania have had enough,” Wolf said in a statement. Members enrolled in Blue Cross of Northeastern Pennsylvania’s Affordable Care Act plans will see their premium rates rise by an average of 6.9 percent in 2015. Officials for the Wilkes-Barre-based insurer declined to specify how many members are covered by its Affordable Care Act plans. 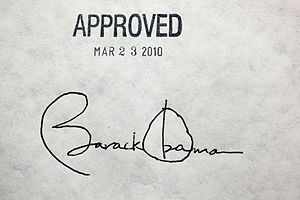 Its website shows 12 available 2014 “Blue (Affordable Care Act) Metal” plans. “The increases are necessary to meet the coverage requirements, including essential health benefits, of the (Affordable Care Act) and to keep up with the cost of care for members in our ACA products,” said Anthony Matrisciano, spokesman for Blue Cross of NEPA, which has about 550,000 members across 13 counties. The increase, effective Jan. 1, comes amid a state Insurance Department review of Highmark Inc.’s proposal to acquire Blue Cross of NEPA. It’s one of two rate hikes submitted by the insurer that received approval from the state Insurance Department. An undisclosed number of Aetna Inc. employees, including case managers, received layoff notices Wednesday at the health insurer’s Blue Bell office. One employee said that seven out of 18 supervisors lost their jobs, and each supervisor oversaw a staff of 15 to 20. 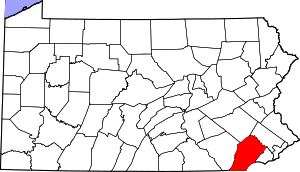 WEST CHESTER, PA – Chester County approved a $523 million budget Wednesday that would not raise residents’ taxes in 2014. Operating expenses total $430 million, and the capital budget is $93 million. Next year’s budget is $4 million less than this year’s budget. NEW YORK (MainStreet)  The law of the land now goes as follows: either have healthcare insurance or pay a fine. Yet more than one in four Americans say they would rather pony up the penalty. A new Gallup poll reveals that 28% of those surveyed have no intention of signing up for health insurance, as required by the Affordable Care Act and will pay the fine instead. The penalty in 2014 for remaining uninsured is $95 per adult and $47.50 per child or 1% of taxable income (up to $285 for a family), whichever is greater. Fully 17% of U.S. adults currently do not have health insurance, according to Gallup. With the self-proclaimed holdouts who say they will refuse coverage, at least 5% of all U.S. adults will remain uninsured. According to the nearly 4,000 interviews conducted with uninsured Americans since September, more than one quarter (26%) under the age of 30 say they are more likely to pay the fine, compared with 30% of those aged 30 and older. The state Insurance commissioner cast doubt Friday on a plan by President Obama to stop insurers from dumping more than 250,000 Pennsylvanians whose medical coverage did not meet the minimum requirements of the new health care law. Insurance Commissioner Michael Consedine questioned whether Obama had the legal authority to allow insurers to reinstate or extend those policies. He also said the state has limited power to force insurers to comply with a scheme that he said “heightens confusion” surrounding the law’s implementation. “I think there are very fair questions being raised about the legal authority for the president to say we’re going to ignore what’s in the” Affordable Care Act, Consedine told the Tribune-Review. The president acted to quell a firestorm over the chaotic rollout of the law known as Obamacare in proposing the administrative fix for consumers whose policies were being canceled. Many accused him of reneging on a pledge that no one would lose medical coverage if they liked it. The city had budgeted savings of nearly $900,000 this year by purging its health insurance rolls of ineligible employees, dependents and police retirees. It also budgeted a contingency fund of $980,000, if the purges didn’t go as planned. Managing Director Carole B. Snyder said the city has seen little savings so far because the police retiree purge got bogged down in arbitration and in complex evaluations that may not be complete by year’s end. (MCT) — Et tu, Wegmans? Until recently, the company voluntarily offered health insurance to employees who worked 20 hours per week or more. Companies are required by law to offer health insurance only to full-time employees who work 30 hours or more per week, as required by the Affordable Care Act. Several Wegmans employees told The Buffalo News that part-time health benefits had been cut and said the company said the decision was related to changes brought about by the Affordable Care Act, also known as Obamacare. Exchange to offer health insurance. Assistance available to those in need. Nearly 81,000 Northeast Pennsylvanians will be eligible to buy subsidized health insurance next year through an exchange, according to a new report released Wednesday. The report, “Help Is at Hand: New Health Insurance Tax Credits in Pennsylvania,” by Families USA, a Washington D.C.-based non-profit that supports President Obama’s Affordable Care Act, details who will be eligible to obtain health insurance through the Pennsylvania exchange. In a move to save more than $1.3 million, the city so far this year has thrown 98 people off its self-funded health insurance policy, and plans to remove another 77 if arbitrators allow. Carole B. Snyder, city managing director, said the total of 175 people includes 89 dependents of current city employees, nine nonpolice retirees, and 77 police retirees and/or their spouses, all of whom the city says are not eligible for city-paid insurance. The Fraternal Order of Police has objected, and the city has agreed to wait on the police retiree purge until an arbitration panel rules. A hearing is slated for March. WASHINGTON – Your medical plan is facing an unexpected expense, so you probably are, too. It’s a new, $63-per-head fee to cushion the cost of covering people with pre-existing conditions under President Barack Obama’s health care overhaul. “Especially at a time when we are facing economic uncertainty, (companies will) be hit with a multimillion dollar assessment without getting anything back for it,” said Sheaks, a principal at Buck Consultants, a Xerox subsidiary. Syreeta Redcross of Allentown takes care of her five children on her wages at a local logistics company. The pay is relatively low, so the 28-year-old often has to scrape to afford the basics — like diapers for her kids. She relies on subsidized day care to be able to hold down a job at all. Redcross stopped by the PA CareerLink Lehigh Valley job fair on Wednesday looking for a better-paying job. Redcross’ struggles are far from unique, according to findings released this week by the U.S. Census Bureau. The Wilson School Board on Monday approved an $87 million tentative budget that would require a 2 percent tax hike. The vote was 5-2. The budget doesn’t require layoffs, furloughs or any program cuts, said Diane J. Richards, director of finance and support services. To balance the budget, Wilson needs to use $525,000 from reserves to cover higher pension contributions. The 0.46-mill proposed property tax hike would increase the tax to 23.77 mills. The owner of a property assessed at $100,000 would see a tax bill increase to $2,377 from $2,331. As hard times and high unemployment rates continue across the country, a program that aims to cover all uninsured children and teens in Pennsylvania has seen steady growth regionally and across the state. 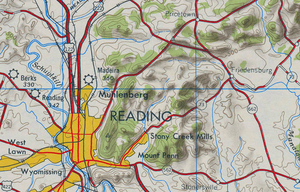 The Children’s Health Insurance Program, or CHIP, was launched in Pennsylvania in 1992 and was used as a model for the federal program four years later, according to state Insurance Department spokeswoman Melissa Fox. As of this month, CHIP covered nearly 194,500 children and teens, about a 17 percent increase from 2007. Locally, CHIP enrollment has also seen growth. In Lackawanna County, nearly 3,000 kids and teens were covered by CHIP, a 22 percent increase since 2007. Luzerne County saw a 33 percent jump in members during the same time frame, with about 4,600 kids and teens covered right now. Dan Onorato may have lost the Pennsylvania Governor’s race to Tom Corbett, but when his job ends as Allegheny County Executive he will start a new job in the private sector. Allegheny County Executive Dan Onorato will join health-insurance giant Highmark Inc. as one of its top executives when he leaves office next month. His multi-part title will be executive vice president, chief external affairs and communications officer. He will begin his new job Jan. 3, the day Rich Fitzgerald will succeed him as county executive. 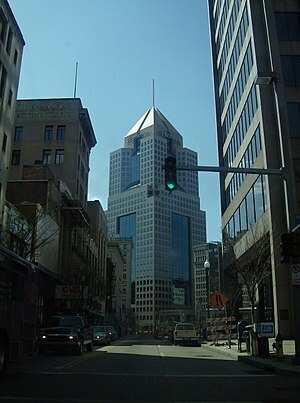 Mr. Onorato will report to Ken Melani, Highmark’s president and chief executive officer. The appointment was announced Friday.